A third drill rig arrived on site in May and a fourth is being negotiated. Drilling will focus on an infill and extensional programs. 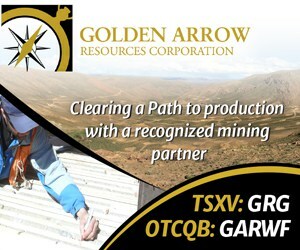 A multi-commodity team has been formed to assess and explore for other metals on the license package. Exploration mapping, trenching and drilling programs continued through wet season over the first quarter of 2016 following a short post-Christmas closure in January. Targets are being progressively evaluated and activities are being supported by a community relations (CSR) team, established to facilitate exploration agreements and maintain close relationships and with local landholders. Support for BMC’s activities has generally been positive, and the team is continuing to gain access to various areas. The mapping and trenching activities have expanded the database of known manganese occurrences in the district. New areas are being scheduled for both pre-production activities (for short-term colluvial mining), and for deeper primary vein exploration. Over 5,000m of exploration trenching and 10,000m of drilling have been completed to date. Valuable information has also been gathered where mining activities have exposed profiles through some of the newly identified vein systems. The exploration program has continued with broad reconnaissance traverses to confirm the position of vein systems associated with the dispersed colluvial manganese fields. BMC is currently engaged in discussions with its drilling contractors to increase the number of drill rigs so a greater emphasis can be placed on infill programs in the second and third Quarter. The map below illustrates the distribution of mapping manganese occurrences compared to the original database at the commencement of activities. The distribution of new occurrences highlights the importance of E- to ENE-trending structural controls on the mineralization. NW and NE trending mineralised structures have also recently been identified, and an ongoing objective of the program will be to assess the potential for increased vein concentrations at the intersections of different mineralised trends. Trenching activities are of prime importance in parallel with the mapping as the vein systems can often be concealed by the soil and laterite profile. Three trenching crews are currently engaged with the mapping and pre-production teams to delineate the distribution of manganese colluvium in the cover sequence and the position of underlying veins. In addition to regional mapping, more detailed surveys are being conducted where extraction activities have provided exposure of the vein profiles. In some areas, such as Dnei-Zenilda, the individual veins form more tabular bodies which have been extracted over a strike length of ~180m to date. In other areas such as Jaburi 2, multiple veins are present, not all of which project to the surface due to their tapering geometry. This indicates some areas will require tailored drilling programs to ensure the full package of veins is located and characterised. Cuttings into the vein profile have been made at the Adesvaldo and Lucas prospects. The current plants are restricted in having no effective crushing facilities to liberate manganese minerals from the hard breccia material of these areas. The planned pilot plant will provide greater flexibility in processing such material (see September 15, 2015 news release). The vein positions in these areas are being surveyed with a differential GPS survey instrument. Mapped positions will be integrated with drilling information to assist with structural modelling. 188 drill holes have now been completed around the project area, with key corridors having undergone reconnaissance testing illustrated below. Drilling has generally continued at broad spacings of 300-500 meters along the strike of structural corridors as they are defined. Some local infill has been conducted and BMC will shortly be commencing more detailed testing in several prospects, including the Eduardo Mendes-Ademir-Vitalino corridor, the Antonio Gomes area, and on the Lavra corridor (Adesvaldo and the Dnei-Zenilda-Laudir area). Other prospects will be progressively added. This corridor forms a prominent ENE trending structure in the NE of the licence block. The structure has been prospected over a strike length of 14km to date. Several new zones of manganese colluvium and associated veining have now been detected on which drilling and pre-production activities are focussing. Historically ~20000t of manganese colluvium were recovered from the Eduardo Mendes prospect to the east and ~10000t from Vitalino to the west. Colluvial preproduction programs are currently testing the central Ademir area as a source of material for the 2016 production year. An application has been lodged for an extraction permit (Guia de Utilização) over this target. Preproduction activities will continue along extensions of the corridor where new domains of colluvial manganese dispersion have been located. The broad trenching and drilling activities indicate that a number of sub-parallel structures are present. The infill drilling program will involve closer-spaced drilling initially on spacing of 100m to test the resource potential of the area. The ultimate drill spacing will be reviewed based on continuity observed in the drilling and supplementary trenching. As previously observed, the grade of the vein intersections correlates closely to the degree of silicate breccia associated with the mineralization. These breccia zones are an expected component of the hydrothermal systems. BMC will be conducting metallurgical testwork programs to study optimal processing scenarios for the breccia material, particularly using bulk samples from vein profiles exposed in mining operations. Field evaluation in the Antonio Gomes areas has identified a series of NE-trending structures associated with dispersed colluvium. These structures converge towards the main E-W structure outlined by the initial phase of drilling. An infill and extensional drill program is scheduled to commence in this area in the second quarter centered initially around the central section where multiple veins were encountered. The drill program will also test the resource potential of the NE-trending vein sets, for areas of vein thickening where the structures converge. BMC currently has two Geotechreserves do Brasil drill rigs on site, with one drill rig dedicated to infill work. BMC also has smaller drill rig from Energold Perfurações Ltda on site. BMC is in discussions with Energold to extend the current contract and to add a fourth drill rig. The smaller drill rigs allow access to steeper terrain and densely forested areas. The infill program in nominated prospects has commenced in parallel with regional exploration continuing on new vein trends. All belts tested to date have shown the presence of manganese oxide mineralisation, and further drilling and trenching will continue to test for the potential for thickened vein zones at structurally favourable sites. In addition to the manganese program, the newly formed multi-commodity team will assess the potential for other metals on the licence package – initial geochemical programs have commenced and updates on activities will be released shortly. Intersections are quoted with down-hole widths, intersections are not true width. The technical information about the Company’s mining activities has been prepared under the supervision of and verified by Dr. Adrian McArthur (B.Sc. Hons, PhD. FAusIMM), a consultant to Brazil Manganese Corporation, who is a “qualified person” within the meaning of National Instrument 43-101. Some statements in this news release contain forward-looking information or forward-looking statements for the purposes of applicable securities laws. These statements include, among others, statements with respect to the Company’s plans for exploration and development of BMC’s properties and potential mineralization. These statements address future events and conditions and, as such, involve known and unknown risks, uncertainties and other factors, which may cause the actual results, performance or achievements to be materially different from any future results, performance or achievements expressed or implied by the statements. Such risk factors include, among others, failure to obtain regulatory approvals, failure to complete anticipated transactions, the timing and success of future exploration and development activities, exploration and development risks, title matters, inability to obtain any required third party consents, operating hazards, metal prices, political and economic factors, competitive factors, general economic conditions, relationships with strategic partners, governmental regulation and supervision, seasonality, technological change, industry practices and one-time events. In making the forward-looking statements, the Company has applied several material assumptions including, but not limited to, the assumptions that: (1) the proposed exploration and development of mineral projects will proceed as planned; (2) market fundamentals will result in sustained metals and minerals prices and (3) any additional financing needed will be available on reasonable terms. The Company expressly disclaims any intention or obligation to update or revise any forward-looking statements whether as a result of new information, future events or otherwise except as otherwise required by applicable securities legislation. The Company cautions that it has not completed any feasibility studies on any of BMC’s mineral properties, and no mineral reserve estimate has been established. Because the Company production decision, related to BMC, is not based upon a feasibility study of mineral reserves, the economic and technical viability of the property has not been established. HQ-diameter drill core has been obtained from surface to end-of hole using a track-mounted Boartlongyear LF90D drill rig operated by drilling contractor Geotechreserves do Brasil and a man-portable EGD SII rig operated by Energold. Collar positions are recorded by hand-held GPS (accuracy typically +/- 5m). The reported grid system is South America 1969, Zone 20S. Collar positions are marked with a cement plug for later survey pick up for any areas that progress to resource drilling. Down hole-deviation is measured by a Refelx Gyro survey tool. Recovery is recorded against individual core runs whilst drilling, and any areas of core loss that can be specifically identified are recorded. Recovery is generally good to excellent. Some core loss may be incurred where the mineralized intervals are softer and friable. Overall recovery averages >90% for the reported intersections. Holes undergo geological and basic geotechnical logging, and are photographed prior to sampling. Samples are collected as half-HQ core where the core is competent. When occasionally broken, half the sample is hand-picked in the most representative way possible. Sampling is conducted to geological boundaries. Samples are submitted to an accredited SGS Laboratory in Belo Horizonte, Brazil. Samples are dried, crushed to 3 mm, homogenised, then a split is pulverised to produce a pulp of 250 – 300 g with 95% passing 150 mesh. Submissions include certified references to monitor laboratory performance, which have returned results within the expected laboratory analytical error margins. Laboratory protocols include blanks, duplicates and repeats. Major oxides in mineralised zones are analysed by lithium-borate fusion – XRF techniques, with minor elements monitored via a multi-acid digest and ICP-OES analysis. Zones of wall rock alteration with trace mineralization are monitored analysed by multi-acid digest and ICP-OES analysis. Until dispatch, samples are stored in BMC’s supervised stockpile yard or exploration office. Individual bags are fitted with a tamper-proof bar-coded seal. The samples are couriered to the assay laboratory using a commercial contractor (Eucatur). Samples are weighed prior to dispatch and material received by the laboratory is reconciled with dispatch records. Pulps and rejects are returned to BMC. A subset is selected for periodic round-robin test work.